San Francisco State University drafted a campus master plan in 2007 with plans to accommodate a 25% increase in its student population through infill and renovation of its compact campus. Many community members raised concerns that campus growth would result in traffic congestion and parking scarcity. 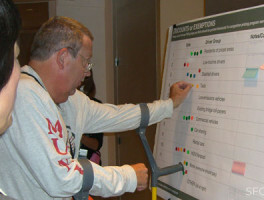 Nelson\Nygaard, on a team led by WRT, led the transportation aspects of the master plan. We demonstrated that a commitment to diversifying commute options would not only address neighbors’ concerns but also save the university money. 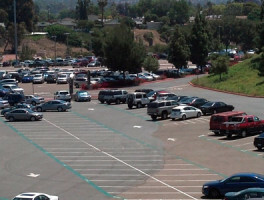 It was less expensive to invest in transportation alternatives than to build new parking structures. We proposed investment in transportation demand management strategies. Nelson\Nygaard helped SF State and the City and County of San Francisco negotiate a Memorandum of Understanding. As part of the plan adoption process and environmental analysis document, the MOU included the university’s “fair share” funding commitment to address the impacts of its growth upon the City. Instead of funding roadway improvements, the campus committed $2 million in transit improvements, along with an extensive list of programs and projects to minimize its vehicle trips. Nelson\Nygaard subsequently designed a marketing campaign to reduce solo driving to campus. SF State wanted to increase its student population by 25%, which raised traffic fears. 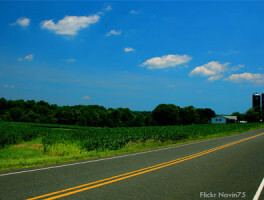 Between 2008 and 2011, drive-alone rates fell from 33.6% to 31.1%, an 8% reduction. "It’s a great pleasure to highly recommend Nelson\Nygaard without any reservation whatsoever. I’ve had the opportunity to work with the firm on numerous projects over the course of the past eight years. In each instance, Nelson\Nygaard has provided exemplary services and we’ve come to rely on their expertise." 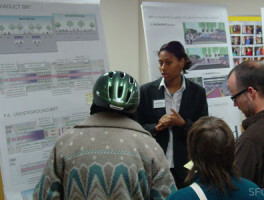 Share the post "SF State Master Plan"